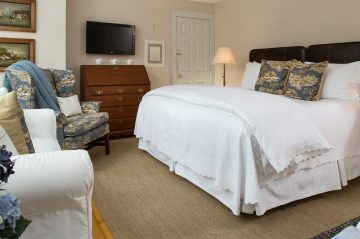 Don’t forget to book with us directly for the best rate. 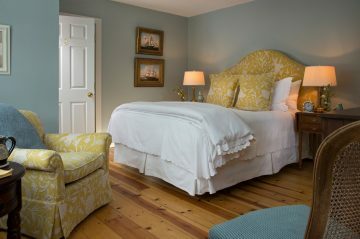 Our dynamic pricing is dependent on the seasons, so don’t wait to start planning your Chatham, MA getaway today! 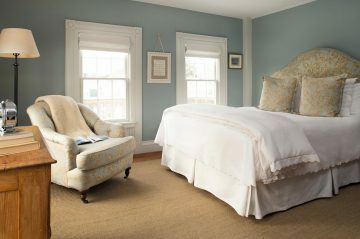 Chatham Gables Inn provides an elegant lodging experience in the quiet town of Chatham, MA. 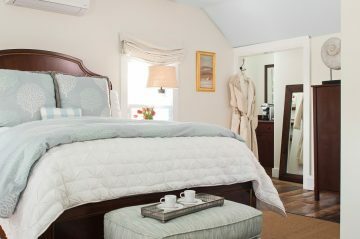 Our accommodations feature all the luxuries of a traditional Chatham hotel but are thoughtfully appointed with bright colors, natural light and all the comforts of home. 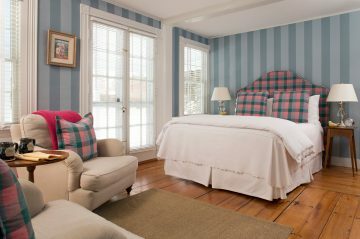 As you enter your guest room, you’ll find a comfortable king or queen-sized bed, designer fabrics, soft linens and plush Kashwere throws. Our complimentary spa-like amenities will complete your luxury lodging experience. Enjoy a private bath with plush bathrobes, Turkish towels, and spa bath wraps and hair wraps as you unwind after a day spent exploring. Snuggle up on the Matouk bedding while watching television on your room’s LCD Flat Screen HDTV and enjoy free wireless internet. 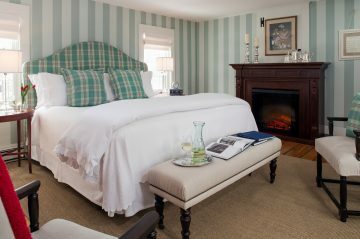 If you want to be extra cozy, we also have fireplaces available in select rooms. 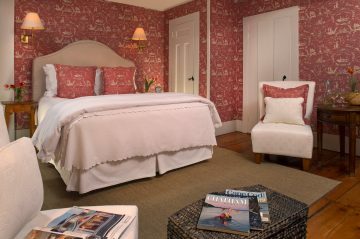 All eight of our guest rooms are beautifully restored with a touch of historic charm. 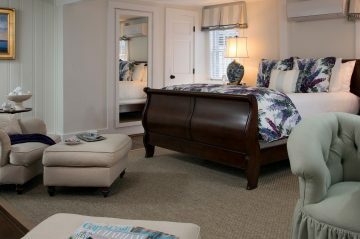 View more information on each of our rooms below and book your Chatham lodging and accommodations for your Cape Cod getaway.